A strange statistic that caught our eye comes from research by the University of Scranton that finds 92% of people don't achieve the New Year's goals they set each year. While reasons vary (we won't get into that today), we look instead to the 8% who did achieve their goals. 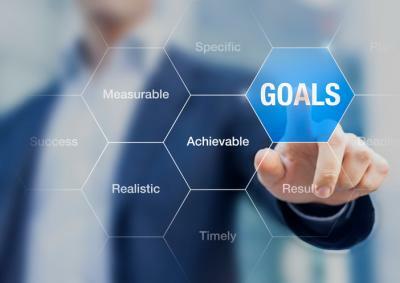 Here, research by Locke and Latham finds that when people do two things in particular (set specific and challenging goals), they will achieve success (in the form of better performance) 90% of the time. As you read further today, think about a few specific and challenging goals you want to achieve and write them down to get started. Then, consider that change is everywhere in banking, so having goals is good but you also have to remain flexible to move forward. Banks are always looking to hit their goals, so it's not surprising they would want to make the necessary adjustments in advance of what's been billed as the single largest accounting change in US banking history. Of course, we're talking about the Current Expected Credit Loss (CECL) standard. Although we recently touched on this, we think it is important enough to continue to keep you updated. To be sure, the effective date is still a ways off - Jan. 1, 2020 at the earliest for a certain group of banks. However, banks industrywide are thinking more about the potential impacts of the new standard, which will alter how all financial institutions perform their accounting for losses. Before you make any changes to your loan loss policies, however, we suggest you carefully review a list of 23 FAQs banking regulators recently developed. Importantly, the new guidance indicates that banks must continue to use existing GAAP incurred loss methodology until CECL becomes effective. So, if you were thinking about increasing/decreasing allowance levels beyond those appropriate under existing GAAP in advance of CECL's effective date, you would be acting too soon. According to the guidance, when estimating allowance levels before CECL's effective date, the implementation of the CECL methodology is a future event. The guidance states that it is "inappropriate to treat CECL as a basis for qualitatively adjusting allowances measured under the existing incurred loss methodology." That said, it is important for banks to include this event in capital planning exercises and account for any adjustments it may have on capital upon conversion. The guidance also clearly indicates that banks need to be careful not to jump the gun on CECL. However, banks have a fair amount of prep work to do before its effective date. For starters, you need to familiarize yourself with the new accounting standard and educate your board and staff about the coming changes. One of the important changes with CECL is the timing of credit loss provision expenses. It is forward-looking and includes more information in the estimation of credit losses. Additionally, and likely the most important component to become familiar with, is the "life of loan" component. This is especially true with respect to valuing loan optionality (which fluctuates wildly as market rates change). This has been particularly volatile over the last several years, so be sure to review these provisions especially carefully. Banks also need to determine the effective date for their institution, which depends on its fiscal year and whether it is an SEC filer. Among other things, banks need to start thinking about any systems changes that may be needed and evaluate the potential effect of all the changes on regulatory capital. Since there will be no established targets for allowance, you will need to be strongly acquainted with your balances, portfolio combination and underwriting procedures. Banks should also be prepared to discuss with examiners the status of their implementation efforts. According to the recent FAQ guidance, throughout the implementation phase, examiners will tailor their expectations based on the size and complexity of the institution and when rules take effect for the individual bank. Like it or not, CECL is coming, so being prepared for what's coming is good, but implementing changes too soon is not. To review the full list of CECL FAQ's, click here. And, stay tuned for tomorrow's BID on "ALLL Review with CECL in Mind". Yields tumbled 7bp, driven by renewed concerns around the French presidential election and increased saber rattling related to Syria and North Korea. Credit Suisse extrapolates the closing of retail stores in the US could reach 8,640 this year, blowing past the record level of 2008 by almost 40%. So far, retailers have announced some 2,880 store closings, as they adjust to pressure from Amazon and shifting consumer buying behaviors. Bank of America said it is experimenting with self-service "robo-branches" that would have no employees in them and it plans to open 25 more across the country. BofA said customers can use ATMs or videoconferencing in the branch to connect with offsite specialists or get additional help. BofA said it is taking this action to reduce costs and move toward mobile and digital in response to customer demands and expectations. FOMC Chair Yellen said the Fed is moving away from its efforts to revive the economy and is shifting to focusing on maintaining the gains made over the past few years. The IMF now forecasts economic conditions worldwide will improve in 2017 and 2018 vs. 2016.